Marion County Public School District places a high value on the student teaching experience. High expectations and standards provide a focus for the success of this process. We are committed to providing an effective learning environment for the student teacher as well as our own students. Therefore, the placement of student teachers, observers and interns is a careful and thoughtful process. The student must complete the Application to Volunteer AND the Application for Student Observation. The completed paperwork must be submitted at least two (2) weeks prior to the desired date of observation, along with a letter or course syllabus indicating that the observation is required to complete necessary coursework. The Teaching and Learning Department will contact the site administrator to obtain approval and a teacher assignment. After the site administrator has approved the request, the student will be notified of clearance details. 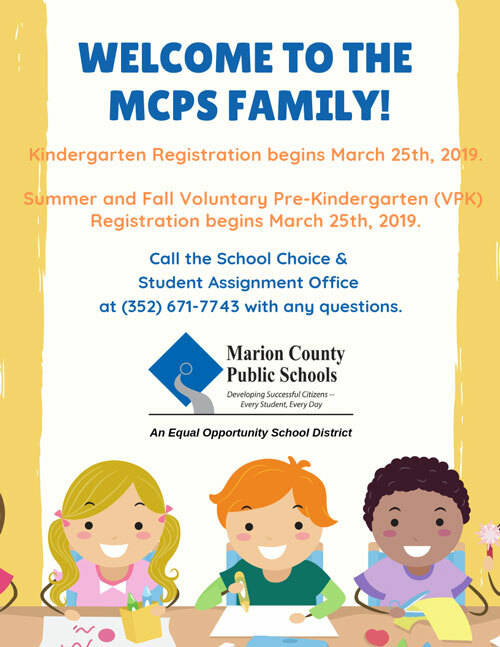 Please contact Jennifer Moorehead in Teaching and Learning at 352-867-2116 or email her at Jennifer.Moorehead@marion.k12.fl.us. Students must work through the field placement liaison at their college or university regarding potential MCPS placements. Students are not permitted to contact school or the Teaching and Learning Department directly to request placements. In order to comply with proper protocol, please review the Field Experience and Internship Procedures. Applications must be received no later than the last Monday of October of each calendar year. Applications must be received no later than the last Monday of March of each calendar year. Institutions must agree to the district’s standard articulation agreement. This written agreement must be finalized before consideration can be given to full-time internship and student teaching placement requests.